Ai has been the target of Chinese government surveillance in the past and was placed under house arrest in 2010. 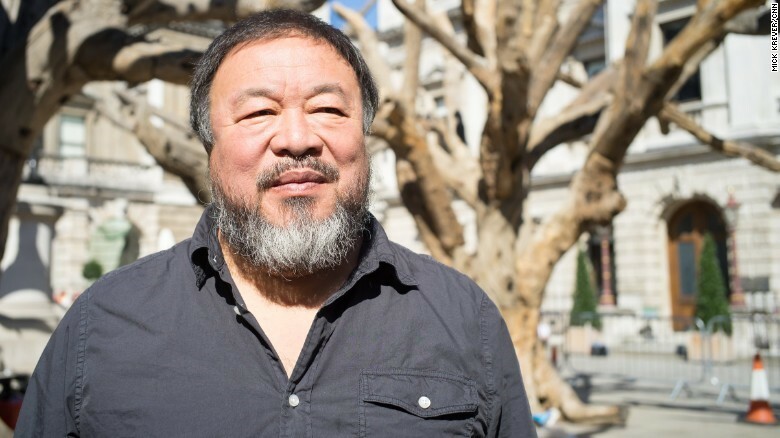 (CNN) Chinese dissident artist Ai Weiwei says he found ‘listening devices’ hidden around in his Beijing studio. “(It’s) a professional job. It is easy to identify: a tiny (microphone), a receiver and a 6-volt electronic transmitter,” he said. The controversial artist, who famously designed Beijing’s ‘Bird’s Nest’ stadium for the 2008 Olympic Games, was put under house arrest in 2010 and detained by the Chinese government in 2011 in a separate incident for tax evasion — a charge he claims was politically motivated. Although the artist said he already assumed he was under surveillance for his critical views of the government, finding proof of it left him unnerved. “When I found these bugs, I had a strange feeling.” he said. Ai posted several photos and a video to his Instagram account Sunday showing electrical wires and equipment implanted behind a wall socket. “Ha ha” he wrote beneath one of the photos. “When was it installed?” One commenter asked. “A long time.” Ai responded. Ai returned from an exhibition of his work in London last month, the first time he has been abroad in four years after Chinese authorities seized his passport. “It will make you think why the authorities are so interested to interfere in a private area without being noticed,” Ai said. “It may be the only way besides force that they can take advantage of people. CNN’s Stephy Chung contributed reporting.